I posted on Instagram yesterday that we aren’t often passionate about a cause until we have to be. I have to be passionate about childhood cancer… because 9 months ago, childhood cancer rocked our world. My little girl was diagnosed with a brain tumor. A series of events landed us rather quickly at St. Jude in Memphis. Before that point, I didn’t even know where St. Jude was! I didn’t want to know facts about childhood cancer… like that only 4% of the government funding allotted for cancer research goes to children’s cancer. I didn’t want to know that children who go through chemo use the same big, bad drugs as adults.. their little bodies fight those big giants! I didn’t want to know that September is childhood cancer awareness month or that gold is the official color. But I do… and instead of sulk about it… I’ll try my best to bring awareness for our warriors. 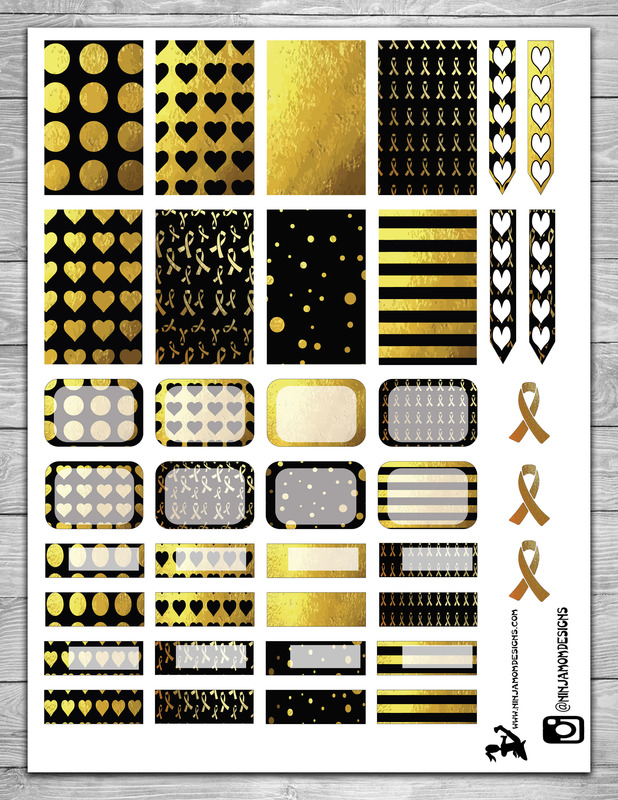 If you choose to use this printable in your planner… please use it as more than a pretty lay out. Use it to pray for the children fighting… for the families … consider how you can help… donate? visit? share someone’s story? Here’s a preview of today’s printable. 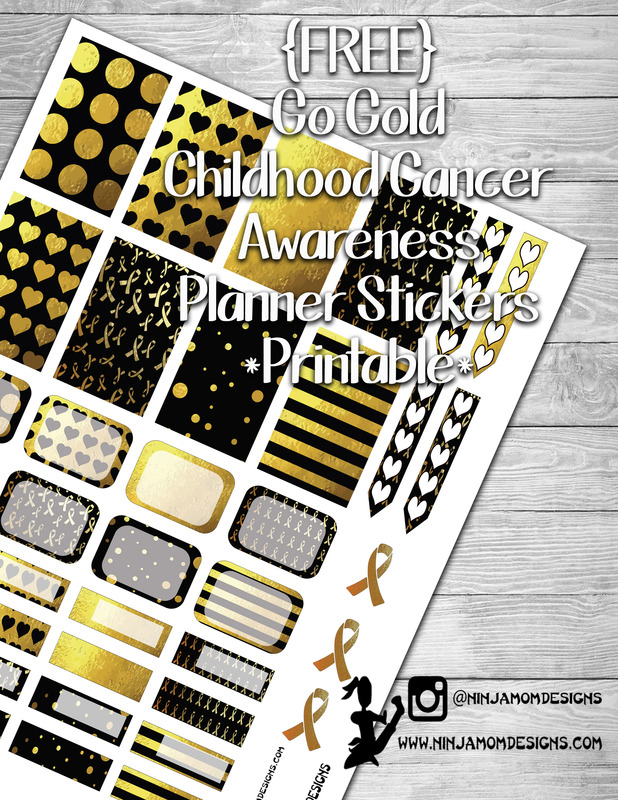 I have it available for Happy Planner and Erin Condren. Click on the links BELOW the image for the printable. You are exactly right about not being passionate about something until it’s tossed into your lap! Thank you for these printables. I am not in the boat you are in, but I will print them out and use them and think and pray for your little daughter. I hope she is doing well!! Love this! Printing now so that I’ll be ready next year. Praying for your sweet little girl!